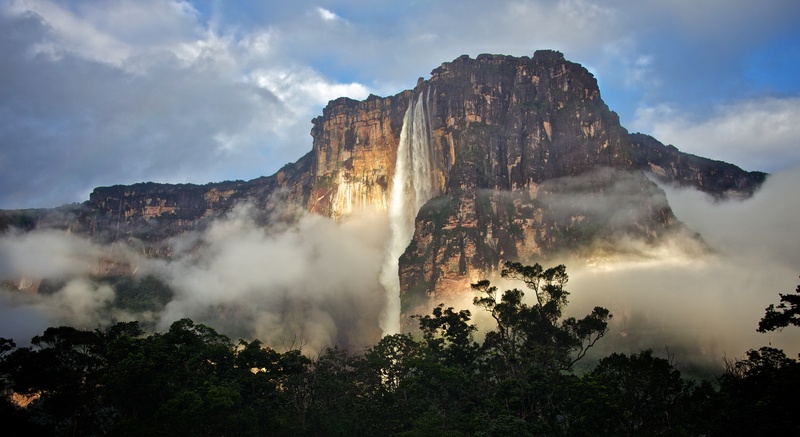 Located in Venezuela’s Canaima National Park, Angel Falls is the world’s highest uninterrupted waterfall, dropping a spectacular 3,212 feet (3,212 feet). 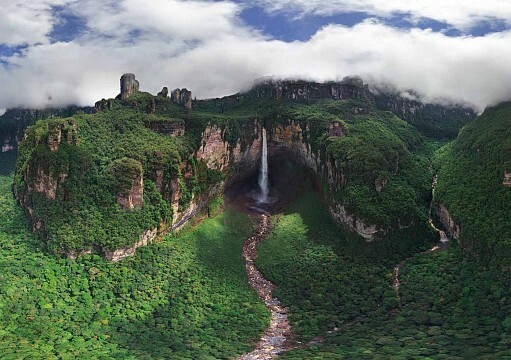 Known locally as ‘Kerepakupai Vená’, or ‘waterfall of the deepest place’, tumbles over the edge of the Auyan-tepui mountain into the Gauja River. Its height includes not only the main section of the waterfall but also around 1,312 feet (0.25 miles) of cascades just below. 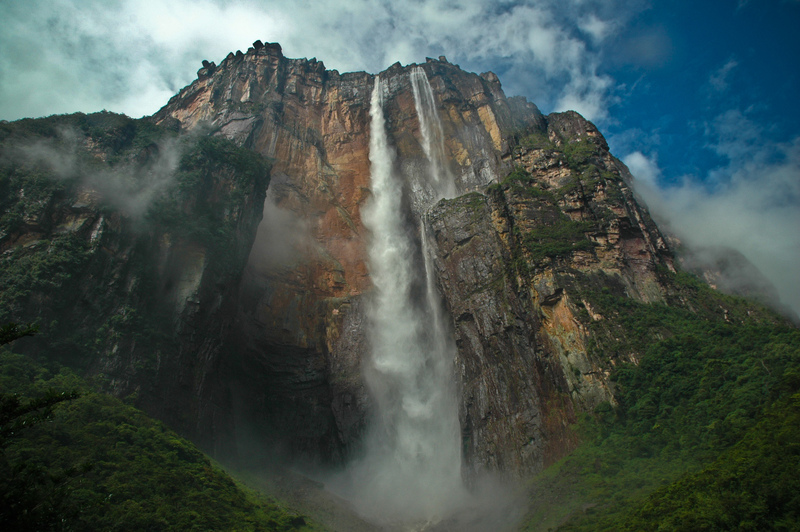 Angel Falls has been listed as a UNESCO World Heritage site and has been protected within the Canaima National Park since its designation by the Venezuelan government in 1962. Originally spanning an area of one million hectares, Canaima has since increased to 3 million hectares in 1975 and is one of the largest national parks in the world. 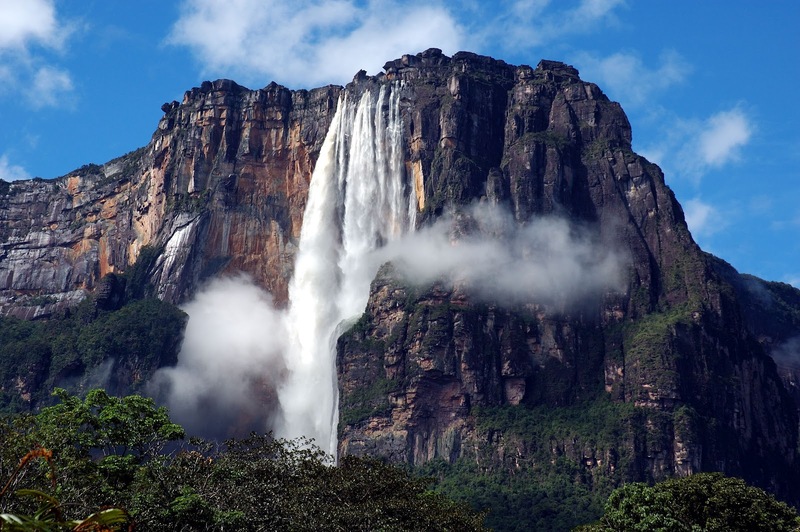 The first European credited with witnessing Angel Falls is Sir Walter Raleigh, although there is speculation as to whether the Spanish explorer and governor, Fernando de Berrio, saw the falls earlier in the 17th century. Ernesto Sánchez La Cruz, a Venezuelan explorer, later submitted his claim for sighting the falls in 1912, but this was not publicized when Jimmie Angel, an American aviator, flew over the region in 1933 and officially recorded a sighting. He was looking for an ore bed at the time and upon crash-landing his plane on Auyan-tepui, he saw the cascade and made his declaration at Kamarata after 11 days trekking. 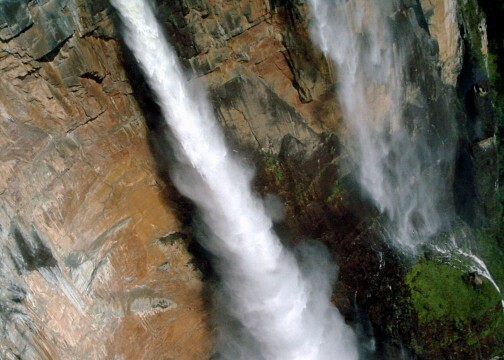 He was honored with the falls being named ‘Salto Angel’ by the Venezuelan Government in 1939, and in 1960 his ashes were scattered over the falls. It wasn’t, however, until 1966 that his plane was removed from the crash site and it now sits on display, fully restored, at the airport of Ciudad Bolívar. Canaima National Park is home to a diverse range of tropical plants and animals which live within the large areas of grassland and jungle which line the rivers. 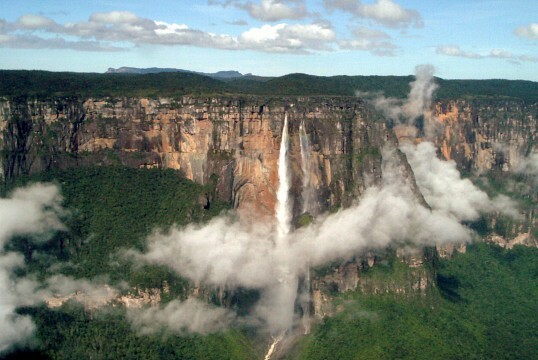 The landscape is dominated by huge flat-topped mountains, such as Auyan-tepui where Angel Falls descends, and the contrasting altitude supports distinct environments. Of its plant life, the abundance of orchids is most impressive with hundreds of species to be found. Canaima is a fantastic bird watching area with Capuchin birds, Paradise Tangers, and King Vultures adding to the jungle soundtrack, while monkeys make their voices heard in the canopy. Large predatory mammals such as jaguars and pumas are more illusive residents, while Three-toed Sloths, Armadillos, Capybaras, and Giant Anteaters can all be spotted. If you are lucky, you may even find a colorful Poison Arrow Frog, famed for its toxic secretions used by indigenous people. Angel Fall’s remote location and topography makes it difficult to access, but despite this it is still one of the country’s premier tourist attractions. River trips to the base of the falls begin at Canaima Camp, which is accessed via air from either Puerto Ordz or Ciudad Bolivar. 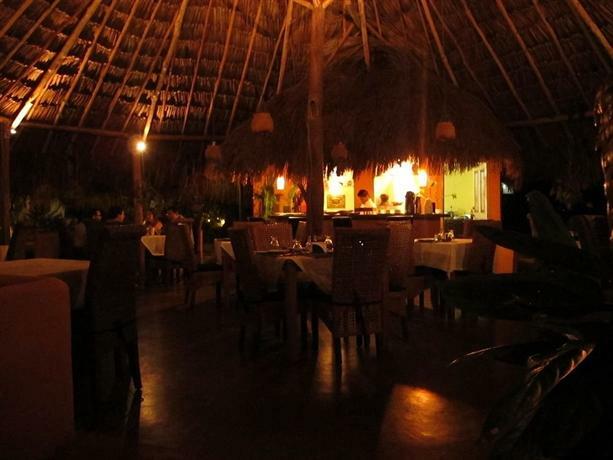 Most visits are done as tours from one of these locations over 3 days/2 nights, with one night spent at Canaima Camp and another at the base of the falls. It is a five-hour canoe trip upstream, followed by a few hours hiking through dense jungle to Mirador Laime, the main viewpoint for the falls. If water levels are safe, it is possible to swim at the base and, despite the long trip, the wildlife spotting opportunities throughout Canaima National Park make for a fun-filled journey. Tours to Angel Falls normally run between June and December, depending on water levels, as this determines the ability of the wooden canoes, or curiaras, to travel along the river. 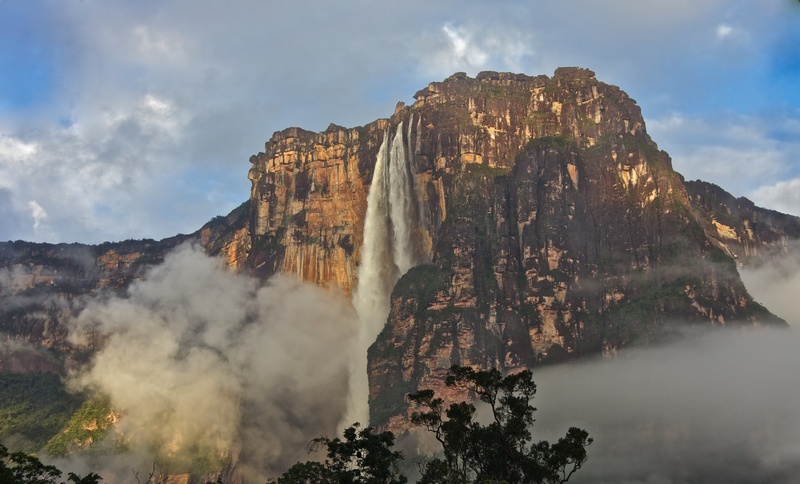 While most tourists come solely to visit Angel Falls, the area surrounding it is equally beautiful and it is worth staying an extra few days to explore it. 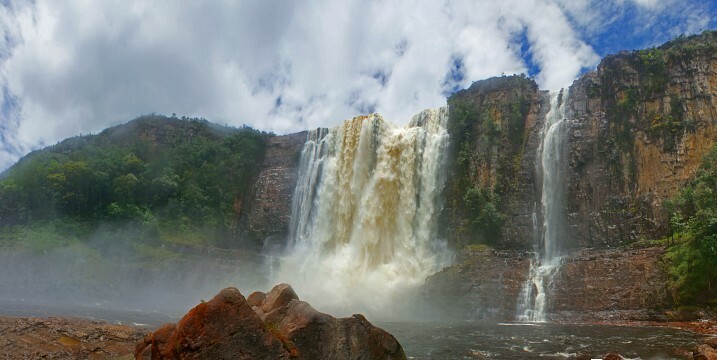 From Canaima there are a number of other beautiful waterfalls which can be visited at Isla Anatoly, while a tannin-rich lagoon lies just to the west of the village. The nearby village of Kavac is also worth visiting with a narrow canyon to hike to and a waterfall with plunge pool to swim in. If you are looking for a longer trek through this stunning region then Canaima National Park has a number to choose from. The most popular is the three day hike to the plateau of Auyan-tepui, from where there are incredible views down to the landscape below. Most routes involve two days spent on the top of the plateau before another two days to come back down to the starting point at Uruyen village. This is a challenging trek through dense jungle and along steep mountain tracks, and a local guide is highly recommended. No matter how warm and tropical the weather may be at the base, make sure you take warm clothes as temperatures on the plateau are surprisingly cold.